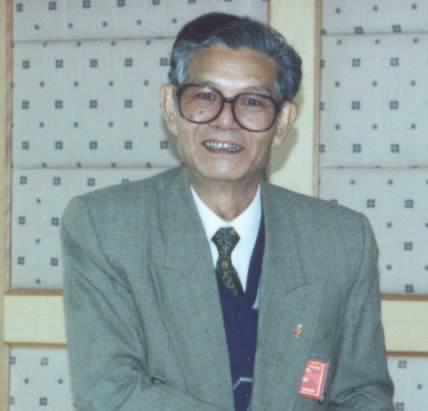 Prof. Xu Zaifu is former director (1987.1-2001.6) of XTBG. He has made outstanding contributions to XTBG over the past more than 30 years in such fields as ex situ conservation of rare and endangered plants, ethno forest culture, biodiversity conservation and mechanism on biodiversity sustainable development. So far, Prof. Xu has published 140 research papers both at home and abroad and edited 21 publications. He has received many prizes at provincial and ministerial levels. In 2006, he was conferred on Appointment Letter of Emeritus Professorship by CAS vice president Chen Zhu in recognition of his outstanding contributions to XTBG. Guo XR, Cao KF, Xu ZF: Acclimation to irradiance in seedlings of three tropical rain forest Garcinia species after simulated gap formation. Photosynthetica 2006, 44(2):193-201. Wang YH, Yin JT, Xu ZF: Alocasia hypnosa (Araceae), a new species from Yunnan, China. Annales Botanici Fennici 2005, 42(5):395-398. Li QM, He TH, Xu ZF: Genetic evaluation of the efficacy of in situ and ex situ conservation of Parashorea chinensis (Dipterocarpaceae) in southwestern China. Biochemical Genetics 2005, 43(7-8):387-406. Zhu H, Xu ZF, Wang H, Li BG: Tropical rain forest fragmentation and its ecological and species diversity changes in southern Yunnan. Biodiversity and Conservation 2004, 13(7):1355-1372. Yin JT, Li H, Xu ZF: Arisaema menghaiense (Araceae), a new epiphytic species from South Yunnan, China. Novon 2004, 14(3):372-374. Yin JT, Li H, Xu ZF: Colocasia menglaensis (Araceae), a new species from southern Yunnan, China. Annales Botanici Fennici 2004, 41(3):223-226. Li QM, He TH, Xu ZF: Generic relationships of Parashorea chinensis Wang Hsie (Dipterocarpaceae) based on cpDNA sequences. Taxon 2004, 53(2):461-466. Ji YH, Li H, Xu ZF: Arisaema menglaense (Araceae), a new species from southern Yunnan, China. Annales Botanici Fennici 2004, 41(2):133-135. Liu WY, Fox JED, Xu ZF: Litterfall and nutrient dynamics in a montane moist evergreen broad-leaved forest in Ailao Mountains, SW China. Plant Ecology 2003, 164(2):157-170. Liu WY, Fox JED, Xu ZF: Nutrient budget of a montane evergreen broad-leaved forest at Ailao Mountain National Nature Reserve, Yunnan, southwest China. Hydrological Processes 2003, 17(6):1119-1134. Liu WY, Fox JED, Xu ZF: Biomass and nutrient accumulation in montane evergreen broad-leaved forest (Lithocarpus xylocarpus type) in Ailao Mountains, SW China. Forest Ecology and Management 2002, 158(1-3):223-235. Liu WY, Fox JED, Xu ZF: Nutrient fluxes in bulk precipitation, throughfall and stemflow in montane subtropical moist forest on Ailao Mountains in Yunnan, south-west China. Journal of Tropical Ecology 2002, 18:527-548. Liu HM, Xu ZF, Xu YK, Wang JX: Practice of conserving plant diversity through traditional beliefs: a case study in Xishuangbanna, southwest China. Biodiversity and Conservation 2002, 11(4):705-713. Li QM, Xu ZF, He TH: A preliminary study on conservation genetics of endangered Vatica guangxiensis (Dipterocarpaceae). Acta Botanica Sinica 2002, 44(2):246-249. Li QM, Xu ZF, He TH: Ex situ genetic conservation of endangered Vatica guangxiensis (Dipterocarpaceae) in China. Biological Conservation 2002, 106(2):151-156. Li QJ, Kress WJ, Xu ZF, Mia YM, Zhang L, Deng XB, Gao JY: Mating system and stigmatic behaviour during flowering of Alpinia kwangsiensis (Zingiberaceae). Plant Systematics and Evolution 2002, 232(1-2):123-132. Gao LZ, Ge S, Hong DY, Lin RS, Tao GD, Xu ZF: Allozyme variation and conservation genetics of common wild rice (Oryza rufipogon Griff.) in Yunnan, China. Euphytica 2002, 124(3):273-281. Li QJ, Xu ZF, Xia YM, Zhang L, Deng XB, Gao JY: Study on the flexistyly pollination mechanism in Alpinia plants (Zingiberaceae). Acta Botanica Sinica 2001, 43(4):364-369. Li QJ, Xu ZF, Kress WJ, Xia YM, Zhang L, Deng XB, Gao JY, Bai ZL: Pollination - Flexible style that encourages outcrossing. Nature 2001, 410(6827):432-432. Liu WY, Fox JED, Xu ZF: Leaf litter decomposition of canopy trees, bamboo and moss in a montane moist evergreen broad-leaved forest on Ailao Mountain, Yunnan, south-west China. Ecological Research 2000, 15(4):435-447. Gao LZ, Ge S, Hong DY, Zhang JW, Luo QY, Tao GD, Xu ZF: A study on population genetic structure of Oryza meyeriana (Zoll. et Mor. ex Steud.) Baill. from Yunnan and its in situ conservation significance. Science in China Series C-Life Sciences 1999, 42(1):102-108.